One of the great things about Pro Carpet is that all of our cleanings are designed to cover heavily soiled areas and are able to effectively treat water-soluble stains. However, some stains require a little more elbow grease. We carry a variety of high-power, industrial-strength cleaning agents and tools that are sure to give your most severe stains the best cleaning possible. Our technicians are knowledgeable and educated in how to recognize and treat even the worst stains. O ur technicians price all specialty stain removal onsite. This allows them to thoroughly inspect the area and determine the very best plan of action. And, you can trust that our technicians will always choose the most cost-effective method available. 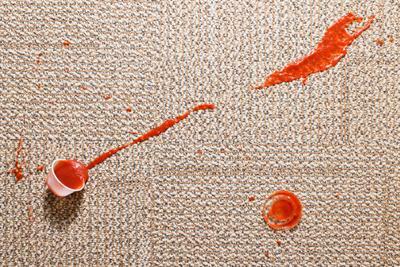 Some stains are more stubborn than others, but Pro Carpet has you covered.